NEOMAGz blogger templates is the perfect solution for online magazines, news websites, professional blogs and other editorial related projects. Fully responsive and looks great on desktop, mobile devices and tablets. 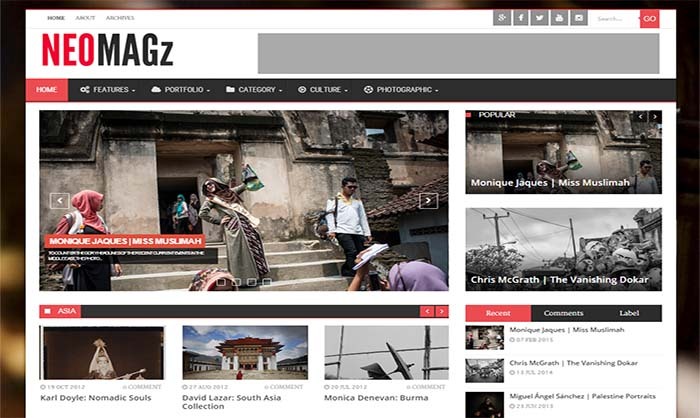 Neomagz includes the responsive WowSlider, Carousel, Mega menu, etc. Present your content, images and videos in a most attractive way and create online magazines for fashion, travel, lifestyle, glamour or any other editorial website you can use.